The Mildura market is flourishing due to a government push for increased residential development, a major real estate agency has said. 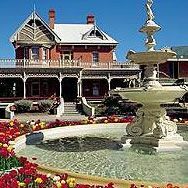 A report by PRDnationwide shows house sales in the Victorian town have soared in the last 12 months. Around 931 properties were sold in that period, compared to the five-year average of 596. PRDnationwide research analyst Augustine Conteh said the active market could be attributed to the local government’s promotion of development in the area. “There has been a far greater focus on residential development in the Mildura area,” he said. He said demand for property was robust, particularly from first home buyers and investors. “There is genuine scope for Mildura to become one of the more dynamic property markets in north western Victoria,” he said. Nonetheless, RP Data statistics suggest prices have not yet seen significant growth. Over the past 12 months, the median house price increased by only one per cent. The average growth rate over the past 10 years is a subdued 2.9 per cent per annum. For units, the median price fell in the past 12 months by five per cent.